Kajol recently posted yet another photo of herself on her Instagram that was captured by her son Yug Devgn. The picture is a close-up shot of her, where she sports her hair in soft curls and looks into the camera with a cute expression. 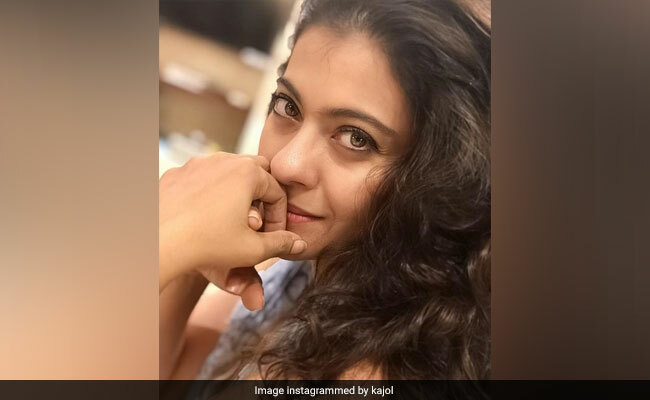 The actress' Instafam adores Kajol's new photo and started posting comments like, "Love you Kajol", "Kajol, you are so beautiful" and "Kajol, love your eyes." Kajol has captioned the photo by saying, "Yug Devgn at work again," which tells us that her son is the one behind the camera. Kajol and Ajay Devgn are also parents to a teenaged daughter named Nysa. Yug Devgn has often clicked stunning photos of his parents Ajay Devgn and Kajol, who never fail to assign credit to Yug when they post pictures clicked by their 8-year-old son. Even the Internet has always appreciated Yug's photography skills with encouraging comments. Last year, Ajay Devgn had posted a silhouetted picture of himself on Instagram and captioned it saying, "Shot and designed by Yug." Shot and designed by Yug. Kajol too had posted a short video of herself when she touched an Instagram milestone, shot by the little chap and she captioned it saying, "Looking at 6 million and counting... Thanks to everyone who made this visual journey with me. Picture courtesy Yug Devgn." Looking at 6million and counting .... Thanks to everyone who made this visual journey with me . Picture courtesy Yug Devgan. She had also posted a throwback photo of herself and Ajay Davgn from their trip to Paris last year on Twitter, which too was clicked by Yug. She captioned the photo in these words, "Throwback to Paris... again... Courtesy Yug Devgn... again." Last year, in an interview with news agency IANS, Kajol had revealed parenting secrets about the Devgn household and said: "I think Ajay is better than me at pampering the kids for sure. He is much better than me at pampering the kids." The parents of two, Ajay Devgn and Kajol, often post photos of their family on social media with much enthusiasm. Kajol was last seen in the movie Helicopter Eela, directed by Pradeep Sarkar. 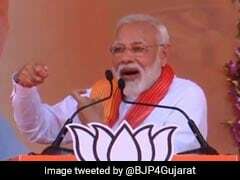 Meanwhile, Ajay Devgn has films such asTaanaji: The Unsung Warrior and Bhuj: The Pride of India in his line-up.